We celebrated my daughter in law's birthday on Saturday with an open house and supper. We decided to prepare Korean food since that is where she is from. Planning the menu involved a lot of reading and watching videos of how things are prepared. My daughter in law and I both liked Cooking Korean Food with Maangchi, although we also used ideas from other places. By Thursday we had a plan. On Friday we went shopping at a Korean market to make sure we had the correct ingredients. Friday evening we prepped until after 9:30 PM. We were up early Saturday cooking up a storm and completed what we had started the day before. We had Korean sushi, octopus, and chicken wings during the day. Supper was Korean barbecue with all kinds of side dishes including eggplant salad, radish salad, a potato dish, tuna cakes, and fried tofu. We had two kinds of cake! Everything was delicious. I loved the gotgamssam, treats made of walnuts wrapped in dried persimmons. I didn't take a picture of mine, but you can see Maangchi's here. In spite of all that cooking business, I managed to get in a bit of reading and writing. This book is dark and at the same time illuminating. 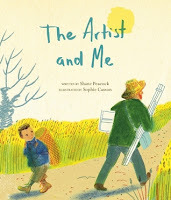 It tells us a bit about the life of Vincent Van Gogh and how he was bullied by children and adults. What is unique here is that it is told from the point of view of a bully. This bully is a young child growing up in a community where this kind of behaviour is normal. There is a lot this book has to teach us about being human and why we and the people around us might do ugly things. It isn't enough to just read this book about people changing their lives through music. The instruments these children use are made from recycled material that is as foraged from the garbage dump where members of the community work. This alone makes it a powerful and inspiring story, but then I went to their website and listened to the music. I was completely blown away. You need to listen to fully comprehend what a stunning feat this is. After listening I came back to the book to learn from the end notes that these musicians have raised enough money to purchase land and provide housing for their community. They have made a difference for all the people in their community in many ways. I now see why this book is getting so much buzz. Dragon is such a nasty creature that the king offers a reward for whoever tames it. First, the knights attempt to tame Dragon. It doesn't work out. Next the villagers take it upon themselves to tame Dragon. Not only is it an embarrassing failure, Dragon becomes even nastier! However, someone comes up with a stealthy plan. I was completely surprised and satisfied by this ending. Ashley Spires is back with another brilliant picture book sure to inspire and motivate all of us to try and overcome our fears. When Lou's friends take to a tree to play pirate, Lou is trapped on the ground because she doesn't know how to climb a tree, and is really afraid to try. Eventually though, she finds the courage and confidence to have a go at that tree. Maybe I won't ever really become friends with spiders, but I will try to not panic when I find them in my bedroom. lf anyone can help me find courage to do this, it will be Lou. Unfortunately this won't be available until May. Sigh. It's Ben Hatke. If you know anything about picture books and graphic novel artists you will recognize his name and know that this book is one that you need for your collection without opening the first page. How I wish my boys were still young so I could read it to them. It will be years before my grandchildren will be able to appreciate this, but I'm still going to buy a copy for them so it will be here when they are ready. My partner and I listened to this podcast while travelling back to Vancouver from our home in Oliver. It is a BBC radio dramatization of the book. 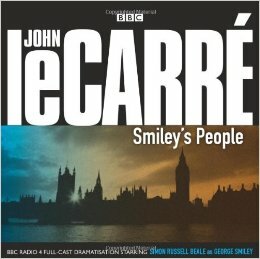 George Smiley, a british spy, is brought out of retirement to figure out what happened to one of his former agents. I read all of this series when I was in my 20's, (a long time ago) and it took a while before I remembered where the story was going. I purchased le Carré's biography for my partner as a Christmas gift and have to wait for him to finish it. This production reminded me why. This is a netgalley title that I wanted to read ages ago. Unfortunately, it expired from my device and I had to get it from our local library to read. 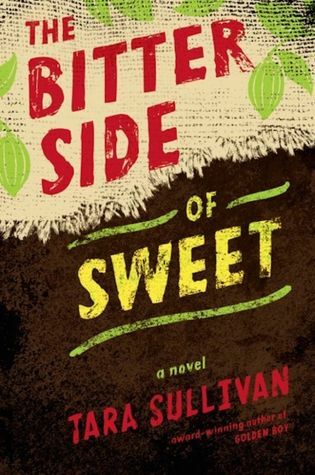 It tells the story of three enslaved children who work on a cocoa plantation and how they eventually escape. There were parts that I had to read really fast because of the brutality. Still, I consider it a #mustpurchase for any school library that has students in grade 6 on up. Now I have to find a copy of Golden Boy to read. This was scary, but not so scary I had to stop listening. A group of children are sent away from London during WW 2, to get away from the blitz. They end up in Scotland in a castle that has been turned into a boarding school. They soon learn that it may have been safer had they stayed in London. Between German spies, dark magic and missing children, readers will be biting their fingernails before it is all concluded. I appreciated that while the children were ultimately responsible for defeating the evil magic, they were also surrounded by adults who mostly did their best to help them. I'm reading The Break by Katherena Vermette. I'm still listening to Fans of the Impossible Life by Kate Scelsa. My audiobook expired, but no one else wanted it, so I was able to check out again. That probably tells you what you need to know about this book, but I will at least finish it. I'm still working on Spin: How Politics has the Power to Turn Marketing on its Head by Clive Veroni. I think I have to reread The Thing That Lou Couldn't Do. I read it last summer, but it didn't really stand out for me. I think I was comparing it to The Most Magnificent Thing which I just love. I'm going to give it another whirl. Kelly DiPucchio is great. I just ordered Dragon Was Terrible. I read her book, Everyone Loves Bacon to first and second graders last week and they thought it was hysterical. I haven't read Everyone Loves Bacon yet, but believe that it is great. I enjoyed Gaston and the Zombie In Love books by her. Give Lou another try. It's been a while since I read Most Magnificent Thing, and this is as good, only different. My husband and I loved those Le Carre books, great writing. The dramatization sounds like it would be good. 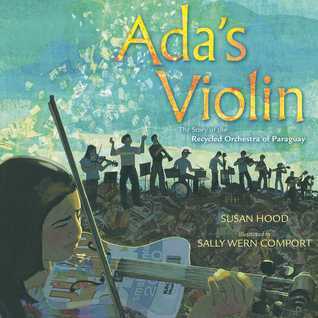 I thought The Artist and Me was a good unique way to tell about bullying, and Ada's Violin is amazing. People who are creative like that deserve a picture book about their accomplishments. Loved hearing about your Korean cooking/celebration. Sounds like a fun day! I think our familiarity with le Carre reveals much about our age and the times we grew up in. I think I appreciated these dramatization because I read the original. The best thing about them is that they don't take as long as listening to the whole book. Thanks for sharing! I loved Dragon Was Terrible! I haven't read The Thing That Lou Couldn't Do or The Artist and Me. I've added both to my to read list. Those rare by Canadian artists. I'm hoping to focus on supporting "local" talent this year. I loved Ada's Violin! Such a heartwarming story! I definitely want to get my hands on The Thing That Lou Couldn't Do! Looks awesome. Have a wonderful week! Lou is a wonderful character! I wish I had your reading stamina! Great picture book recommendations, and The Charmed Children of Rookskill Castle looks intriguing. Is it suitable for elementary? Absolutely Chris. If they can read Harry Potter, they can read this. I'm now retired Chris so I just have more time for reading! I can't believe this is the first I'm hearing of Dragon Was Terrible! It seems like there are never enough dragon picture books. I'll have to add it to my list of books to find on our next library trip. Katie, it is just so much fun. We kid tested it with my 4 year old niece this weekend, it was a hit! 50 books by Canadian Indigenous authors is quite a challenge. I will enjoy hearing about the books as you read them. I've seen The Artist and Me a few times, but haven't picked it up. I think I will next time. The Thing Lou Couldn't Do looks good too. Thanks for sharing the titles. It started out as 150 books Crystal, because Canada is celebrating 150 years. I wanted to acknowledge and celebrate my grandmother's native heritage and the fact that her people were here long before the rest of my ancestors. 150 would have been impossible, so I'm trying for just 50. That is a great set of books you have read!! thanks for visiting me.. and The Last Tree seems to have evoked similar feelings in us..
Those are both great reads, especially if you are interested in social justice issues. I really would like to read Rookskill Castle - I've heard it's a bit creepy! But I love the time era! 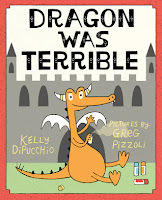 Dragon Was Terrible is so fun as a read aloud! I love watching the kids' faces! It is creepy, but I managed to finish it, and I am easily intimidated I think. We read Ada's Violin as part of our Mock Caldecott - what a glorious book! You got in a lot of wonderful reading...in addition to all that cooking. Bravo! It was all fun Tara. Ada's Violin should come with music! 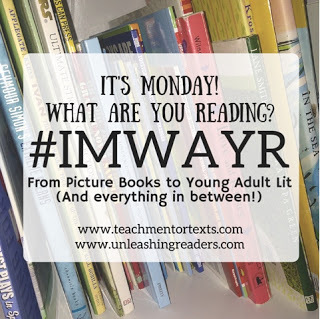 Great set of books this week. 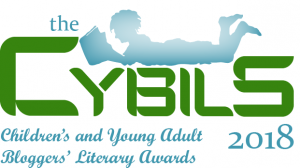 I'm taking some more of them into consideration to buy this year at my library. 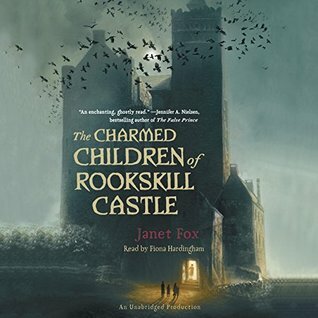 I really like the sound of Rookskill Castle and The Artist in Me is something I'll probably be interested in as well. Thanks for sharing these and I hope things are going well! I can think of at least half a dozen readers who would love Rookskill Castle Bill. I suspect it is the beginning of a series.. I can't wait for The Thing Lou Couldn't Do. I know! Isn't Ashley Spires fabulous. The food sounds amazing! I have learned to cook Ethiopian for my son, and it's always quite the feast: at least 5 different dishes that get prepared. I read Nobody Likes a Goblin yesterday--loved the art (though I didn't understand the unnecessarily buxom lady who becomes part of the story towards the end), didn't love the writing nearly as much. I could just get lost in those illustrations though! 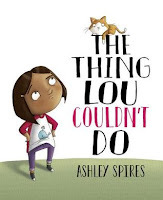 I am excited about the new Ashley Spires. Can't wait to have it to share with my students! We have become fans of Korean food! I agree with you about that woman in Nobody Likes a Goblin. Where the heck did she come from and why was she there? I am intrigued by The Charmed Children - I already borrowed The Artist and Me - thank you for reminding me that I should get to it soonest. Do Not Say We Have Nothing is by a Singaporean author, so I also look forward to reading it this year. It is very cool that we share Madeleine Thien. I have started reading Do Not Say We Have Nothing and am just in awe of the beauty of her writing.